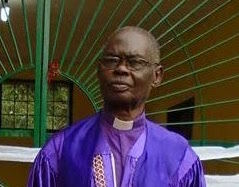 GEMENA, DR CONGO (July 22, 2016) – Duale Lengena Sabuli Petro, former president of the Congo Covenant Church (CEUM), was buried Friday during a five and a half hour service, with more services being held this weekend. 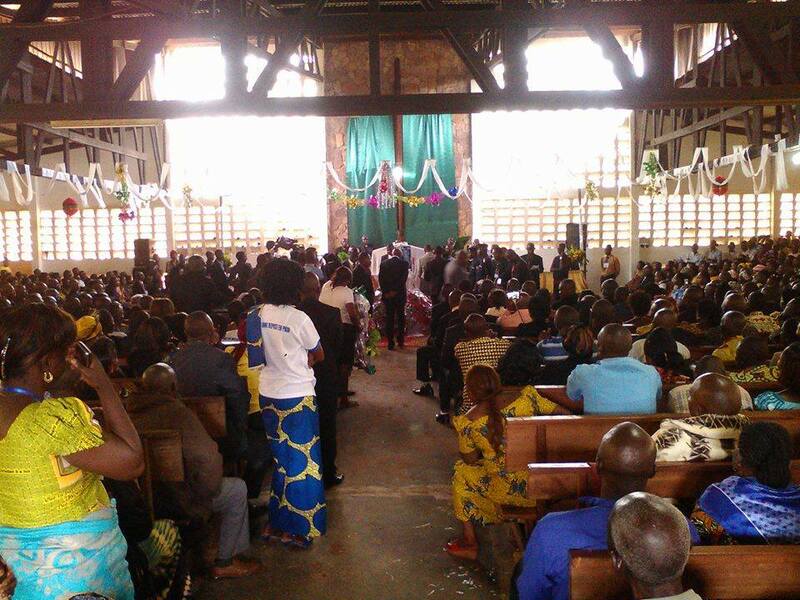 Services also had been held in different locations throughout the week following his death in Kinshasa on July 14. Duale, 85, served as president from 1984 to 1992. 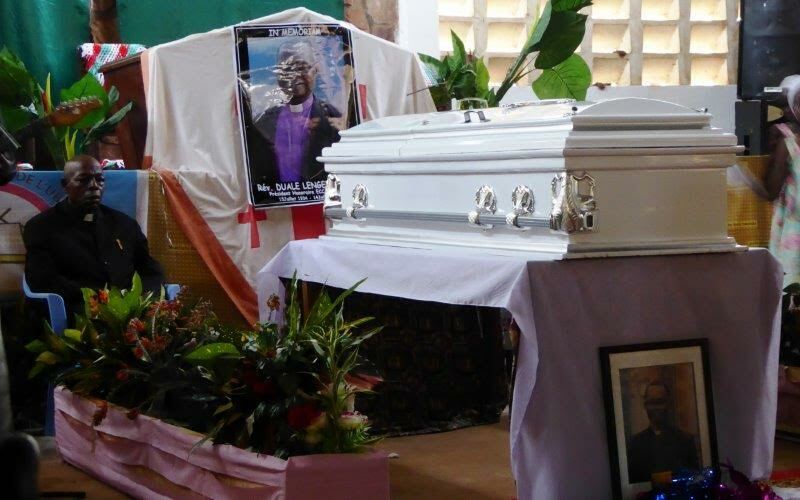 Duale’s body was flown to Gemena on Thursday and was then accompanied by a long line of trucks and motorcycles to the Bokonzo church for a service of mourning and celebration, said Covenant missionary Keith Gustafson. There also was an all-night worship service that lasted until Friday. The funeral started at 10 a.m. Friday and ended at 3:30 p.m. following the burial. Several choirs sang, including one of all pastors’ wives and another of all pastors. During the service, a local political leader said Duale was one of the most important people in Gemena and provided important counsel. “When we would send him word of a meeting, even if he did not have money to pay for a motorcycle, he would walk 5 kilometers to come to the meeting,” the leader recalled. Former president Luyada shared that his predecessor’s driving theology was grace and was gifted in bringing reconciliation among people.” Gustafson said. One of the pastors read text prepared by current president Jules Mboka, who has laryngitis. Eight pastors sat 15 minutes each next to Duale’s casket throughout Thursday night until the funeral service on Friday morning. Duale is survived by his wife of 64 years and other family members.